The computer keyboard is often the most germ infected items in your home or office, often it will contain more bacteria than your toilet seat. Cleaning it can help remove any dangerous bacteria. 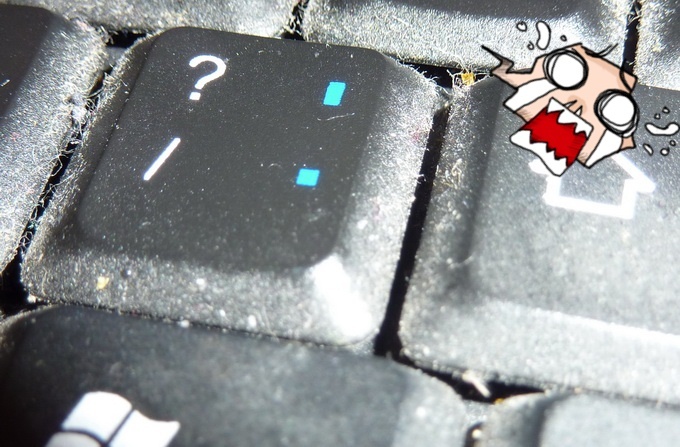 Dirt, dust and hair can also build up causing the keyboard to not function properly. Before cleaning the ,dirty keyboard, first turn off the computer or if you’re using a USB keyboard unplug it. Not unplugging the keyboard can result in causing other computer problems as you may press keys that cause the computer to perform a task you don’t want it to do. Many people clean the keyboard by turning it upside down and shaking. A more effective method is to use compressed air. Compressed air is pressurized air contained in a can with a very long nozzle. aim the air between the keys and blow away all of the dust and debris that has gathered there. 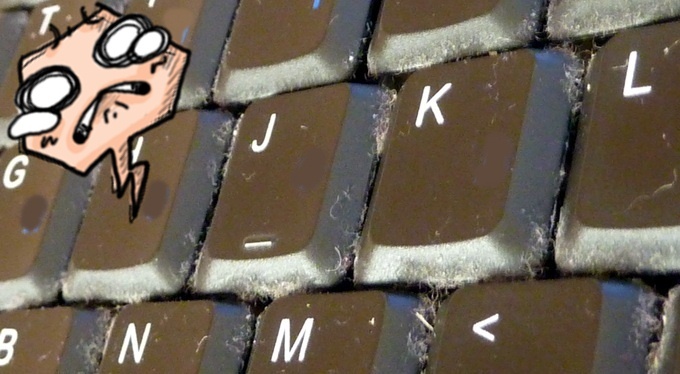 A vacuum cleaner can also be used, but make sure the keyboard doesn’t have loose “pop off” keys that could possibly be sucked up by the vacuum. If you wish to clean the keyboard more extensively you’ll need to remove the keys from the keyboard. After the dust, dirt, and hair has been removed. Spray a disinfectant onto a cloth or use disinfectant cloths and rub each of the keys on the keyboard. If anything is spilt onto the keyboard turn the computer off immediately or at the very least disconnect it from the computer. Once done quickly flip the keyboard over helping to prevent the substance from penetrating circuits. While the keyboard is upside down, shake the keyboard over a surface that can be cleaned later. While still upside down, use a cloth to help clean out what can be reached. After cleaned to the best of your ability leave the keyboard upside down for at least one night allowing it to dry. Once dry, continue cleaning the keyboard with any remaining substance. If after doing all the above steps the keyboard does not function properly or at all it’s recommended you buy a new keyboard. But my keyboard perfectly working… YES ! Previous Previous post: Homo sapiens and Neanderthals hominids. Next Next post: Music Philosophy… created by designer Mico.